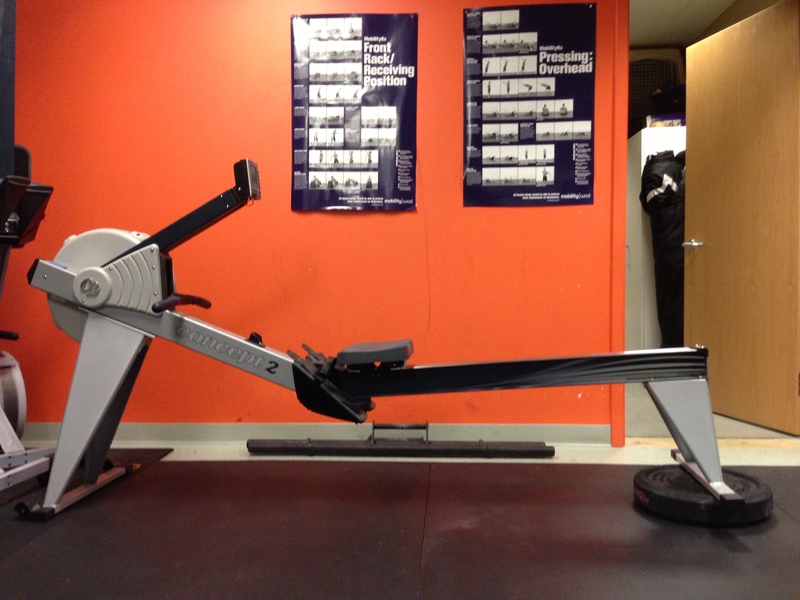 1 45# Bumper under Erg, for this Rowing WOD you’ll need 2! Time was 8:31, splits are listed below. It was more difficult to get full extension with my back having it elevated, or maybe I’m just imagining things. Great WOD! Nice Don! Ya I had a blast doing this one. Handstand PU to an abmat. They are a goat. I almost got through the first set unbroken. The last set was tough, and it was one rep at a time. Nice Graham, that’s pretty much how I attacked it too. Good work on your goat. Haha, solid Larry, great time! good consistency on your splits Ryan.